On June 21st 2018, Bloggers Who Brunch hosted the Secret OPI x Ulta Beauty Launch Event at Malibu Wine Safaris + Saddlerock Gardens. 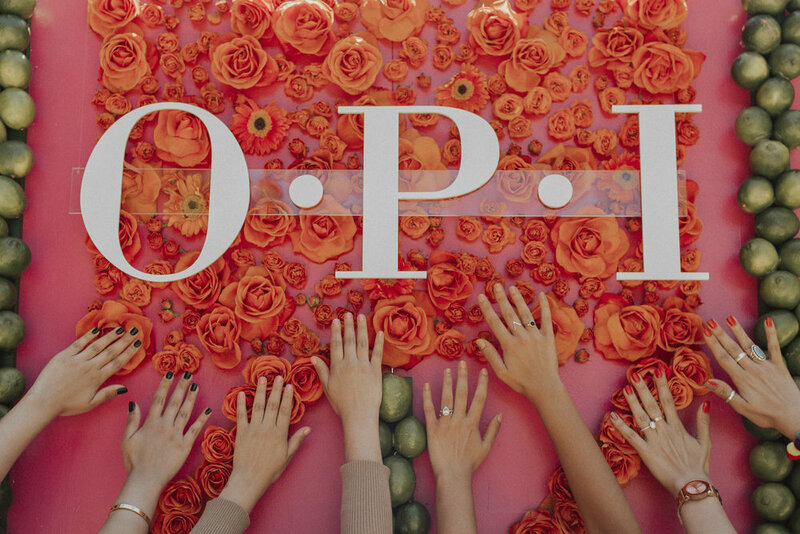 To celebrate the launch of OPI's newest collection, our group of ten influencers toured the beautiful property, enjoyed a delicious themed brunch, and received VIP manicures with the secret new colors. Upon arrival at Malibu Wine Safaris, the lovely ladies hopped on board the giant safari truck and toured the stunning vineyard. While cruising through the beautiful rolling hills, everyone sampled a number of tasty wines from the property. And what's a vineyard tour without running through the grapevines? The final stop on the tour paid homage to the iconic National Geographic picture frame. This larger than life version of the frame was the perfect place to stop for photos. How could you not with that incredible backdrop behind you?! After the tour of Malibu Wines, it was time for the main event - our Secret OPI brunch location! Located at the beautiful Saddlerock Gardens, our influencer attendees arrived at the vibrant and colorful event space - complete with a decorated brunch tablescape, a themed bar, VIP manicure station, and OPI floral/lime photo wall. But best of all, everyone was welcomed by Chorizo the Llama! 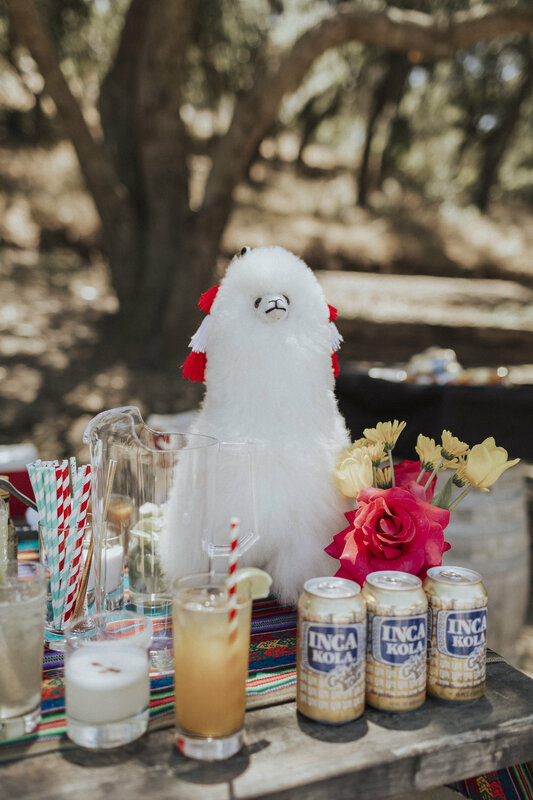 After feeding our new friend, it was time to mingle and enjoy our themed cocktails - Alpaca Punch (Traditional Pisco Sour), Picchu Passion (Passionfruit Pisco Sour), and Quechuan The Flipside (Chilcano). After drinks, it was time for manicures with OPI's secret new collection! All attendees were able to choose their favorite new colors and receive a VIP manicure from the OPI specialists. With fresh manicures and an appetite for our special cuisine, it was time for brunch! Our five course meal started with a delicious quinoa salad and was followed by tiradito, traditional and mushroom ceviche, crab causa, and paella. Ok everyone, you've seen the pictures - vibrant colors and patterns, llamas, pisco sours, and ceviche. Can anyone guess which country inspired OPI's newest collection?! Introducing the new OPI Peru collection, with 12 new shades inspired by Peru and available in both Infinite Shine and Nail Lacquer! You can also get three exclusive colors available only at Ulta Beauty! To shop the entire OPI Peru collection as well as the three exclusive Ulta colors, click the link below! SHOP THE OPI PERU COLLECTION NOW! Be sure to also follow @opi and @ultabeauty to stay updated on all thing OPI Peru and beyond! A special thank you to all of the amazing influencers who joined us for this magical day! And finally, thank you to Malibu Wine Safaris + Saddlerock Gardens for hosting us at your stunning property! To book your own Malibu Wine Safari, visit their website now!